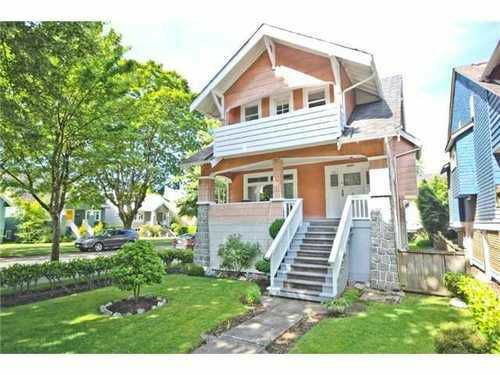 Classic early century, 3 level, character home sitting on 33x120 prime corner lot. This is one of those classic homes with approx. 3000 sq.ft. that you have been waiting to buy to restore to its original splendor! Lots of natural light, lots or original character and excellent plan. Even has a cherry plum tree in the back yard. Legal two family dwelling (upper suite). Fantastic location on quiet Balaclava & 11th Ave steps to West Broadway shops, boutiques, restaurants and still walk to the beach or fireworks. Well maintained by almost-original owner. The perfect home for the perfect project. View photos online and call for scheduled first showing.